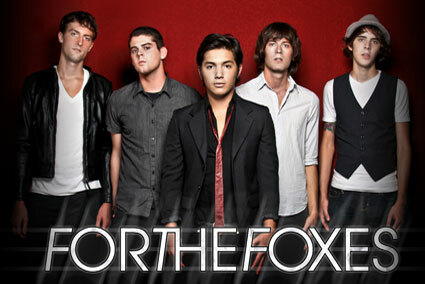 For The Foxes is a pop rock band based out of Barnegat, New Jersey. Music has been a huge influence in all of the members lives, and after playing in previous groups together, For The Foxes was formed. The band started with Nick Dungo (vocals, keys) and Tim Wright (guitar) in the fall of 2006. The two began writing and recording new songs together. Mike Favara was then added to the group as their bassist. As the band went through lineup changes, they band added Danny Vassallo (drums) and Jimmy Brindley (guitar) to finalize the lineup. After releasing their first E.P. entitled Six Ways to Love, For the Foxes has achieved critical success. The band has shared the stage with a number of signed acts, and their music has been featured on MTV. After completing two tours to the southeast and mid west the group drove to Santa Monica to record three songs with producer Jim Wirt. These songs will be available on itunes in November and the group will be on the road this winter!